The Moto SmartWatch G2 Pro is a band-style device that includes basic �smart� functionality. 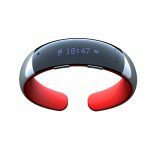 It delivers notifications to your wrist including texts, emails, and more. It also includes an integrated microphone and speaker so you can take � and send � calls from the band. It will vibrate when notifications and alerts come in to let you know something is waiting. Support for voice-activation services like Siri and Google Now means you can use voice commands to operate your phone remotely. The battery will last for 3 full hours of talk time or 72 hours in standby. 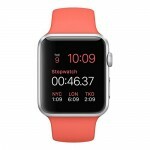 It also has a lower price tag, so it�s more budget-friendly than say the Apple Watch Series 2.